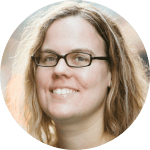 Molly McLaughlin is a New York-based writer and editor with over a decade of experience covering consumer electronics and mobile technology. Before going freelance, she got her start as an editor at PC Magazine, followed by a stint at ConsumerSearch.com, a review website. These days she writes about software, apps, gadgets, and lifestyle subjects for a variety of publications. In her downtime, she loves to explore New York City neighborhoods looking for hidden pieces of history, plan trips around the world, and discover new craft brews. With all of the expenses that can pile up while traveling abroad, you want to get the best exchange rate so you don't get ripped off before you've even spent a penny. Here are seven ways to get the best currency exchange rates while traveling. Often brewed in relatively small batches, with limited distribution, craft beer availability varies widely from region to region. But like just about anything else, you can get it delivered right to your door. Smartphone cameras have made leaps and bounds in quality, but there are times when we realize their limitations compared to advanced cameras. Here are seven things your smartphone camera still can't do. Microsoft unveiled the Surface Book laptop last week, and while it seems similar to the 2-in-2 Surface Pro 4, they're actually very different devices. Here's what you need to know about the buzzworthy laptop. Yesterday, Apple introduced a major update to its Apple TV streaming device. With Siri integration, voice controls, streaming sports, and more, is an upgrade or new purchase worth it? Going overseas doesn't have to mean losing your device or paying a ton. We look at how to get compatible devices or affordable international plans when you travel this summer. Offering different methods of sorting the multitude of choices, different shipping options, and even gift boxes or memberships, these sites with delivery beer right to your door. And we're not talking PBR.